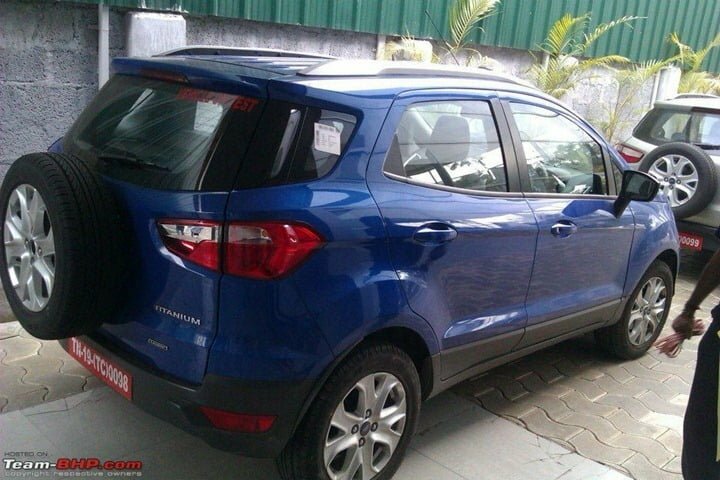 Is Ford EcoSport Launch Delayed In India Till August 2013? We can never get enough of the stories surrounding the launch of the Ford EcoSport compact SUV. We brought you details about it, spy shots, the variants it would come in, 7-seater EcoSport over 4 meters and what not. But all these stories hold relevance when we would have EcoSport launched and on our roads. And today, we have another story coming in for you which gives us somewhat confusing details about the launch date of the car. The much awaited Ford EcoSport is supposed to start getting on the roads by August 2013 if the reports of a major dealership of Ford are to be believed. Now we believed that it would launch in February 2013 before Nepal and with the test mules running around all the time, an early 2013 launch was impending but Ford seems to have delay it further. This news comes from a Team-Bhp member (subraiyr) as he had registered with the dealership for any news regarding the EcoSport’s launch. The Bangalore-based dealer has said that the official launch will take place around mid-2013 (around July or August) with the dealers starting to accept bookings around April-May 2013. This news comes as a blow to the fact that Ford dealerships in North India had already started accepting bookings unofficially which hinted towards a launch before the fiscal ended. Despite all the speculations and rumors, Ford has decided to keep mum about the details of the car and its launch date. Now they may perceive it as a hype-creating measure for the car, but with almost all the aspects leaked about the car, the spyshots of test mules becoming an almost daily thing, Ford might just be killing the enthusiasm around the car. The more they delay the launch, they will give to competition some more time to make their products better to give the EcoSport a tougher competition. We hear a Duster Refresh is on the cards and the Quanto might have a trick or two up its sleeve before the EcoSport launches. We have jut one question- Can Ford really afford to do this? We will keep a close eye on the developments and keep you posted as soon as we hear something from the official sources. Stay tuned to us for latest updates.